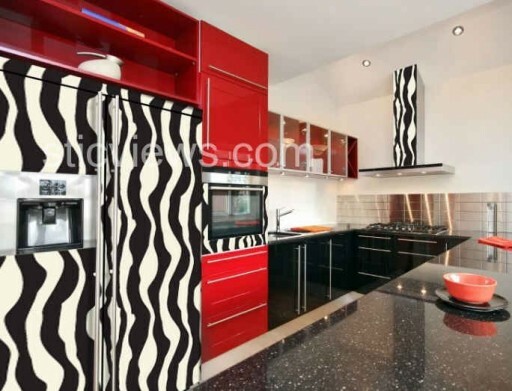 For the daring and the adventures, this Zebra modern kitchen is definitely fun and works great with the sleek red cabinets and the black granite counter top. 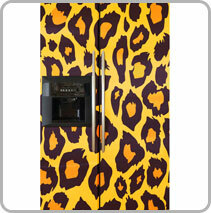 Yes, kitchens have gone wild and if you want more, check out the Leopard microwave and fridge…You would be Roberto Cavalli‘s envy! 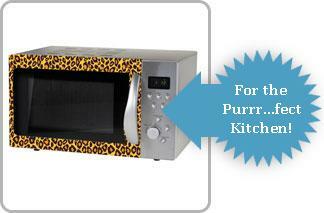 I also would like to know where you can get the leopard print microwave! covers a regular microwave oven. Thank you for contacting Animal Print Essentials.